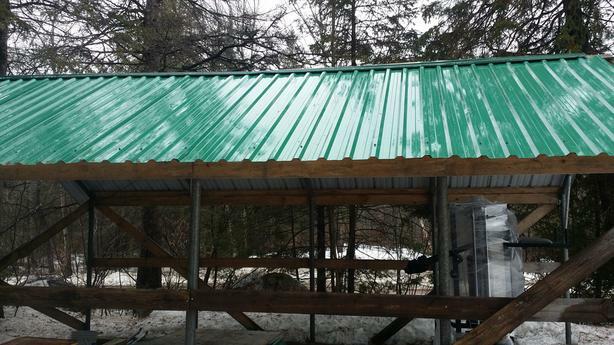 Galvanized Steel Building. Framed With 2 In. SCHED 40 Galvanized Pipe, Steel roof, Sides Strapped For Siding. Stainless Fasteners. Entire Building Easily Unbolts. Includes 8x8 PT Timbers. 11 Foot High Opening, 22 Feet Long and 12 Feet Wide.